Make your party or event really glow! Ultra Violet (UV) lighting adds an amazing look to UV reactive clothing, accessories and face paints. It helps create a fantastic party atmosphere. There’s an endless supply of UV reactive products which will glow brightly when a UV light is on them. UV lighting is currently very popular for teenagers who want a seriously cool party. With lots of brightly coloured clothing, face paints and UV reactive produces the party really comes alive. It is also often used at weddings where the UV lights make all the whites glow bright, clean and crisp. 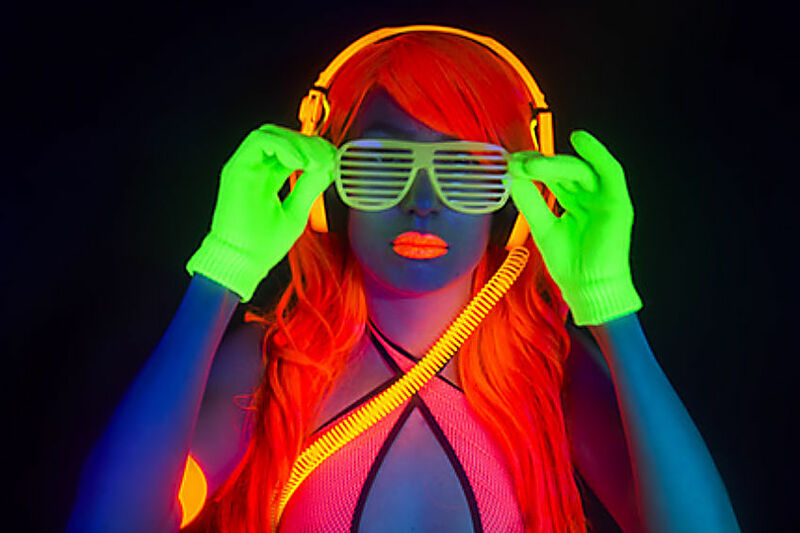 Here are some ideas for great items to have at a UV party. What is a UV party? UV or glow parties are created by flood lighting ultraviolet (UV) light in a dark room. Humans can’t see UV light so the room still appears dark. 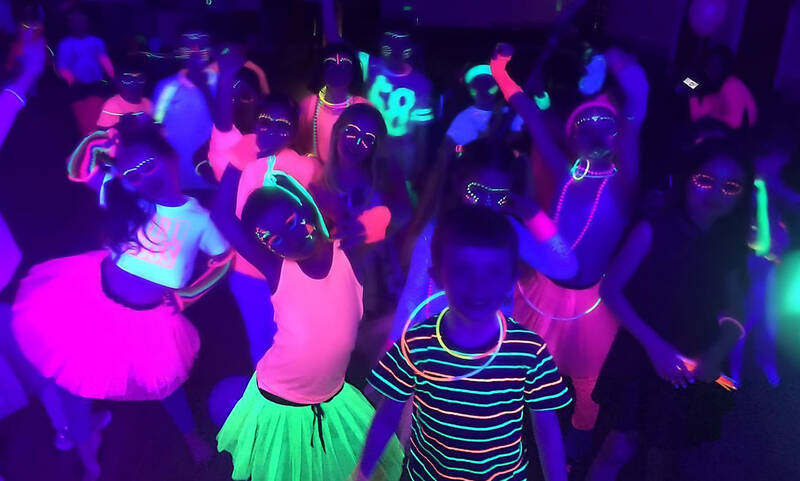 But we can see the effects of UV light when it reflects off neon or fluorescent clothing, face paints and accessories which will glow brightly to create an awesome effect. Fluorescent (or neon) materials such as clothing, paints, accessories etc. Add these to any party and the overall effect is to create a stunning, surreal atmosphere in which to party! Most ultraviolet (UV) light is invisible to the human eye, even a very bright UV light will only appear as a relatively dim violet or purple glow from the UV light source. This is how the name ‘black light’ came about. Some materials can absorb the energy from a UV light and reflect, or rather, re-emit the light energy. This process is know as fluorescence. Because some energy is lost during this process the emission of light is of a longer wavelength, bringing it into the spectrum of light we can see, which makes the material seem to glow in the dark. UV lamps used in disco lighting are only just inside the UV spectrum with a wavelength of around 400nm. This is the safest of the UV light and the closest to what humans can see. We wouldn’t recommend staring at the UV light source for long periods of time in the same way we wouldn’t recommend staring at any light source. For UV to work, it is important that the venue is very dark. If your event is during daylight hours it is essential that your venue has good curtains or blinds.